Strengths: T.J. Leaf is slated in that NBA power forward range that has an athletic advantage in the NCAA. He is a long, explosive athlete that can play around the rim, showing signs of a good spring off the ground. 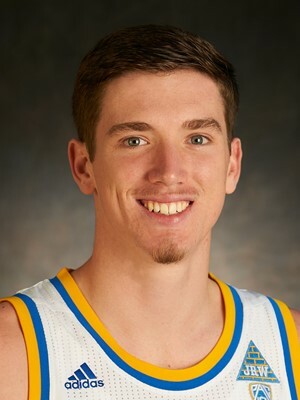 He is a good shooter when it comes to three-point range, benefitting from a spaced out offense in UCLA. He is a hard-working player, hustling throughout the game and putting his body on the line for his team. His timing and strong hands make for a great combination on the glass. The power forward has a high basketball IQ at the college level, making the smart and correct plays on a consistent basis. When it comes to ball rotation, Leaf is a great passing big man, which will be a strong commodity for a team-first offense. Weaknesses: At 6’ 9” and 215 lbs., Leaf must add weight and strength to his frame, or else he will have trouble in the paint in the NBA. His long wingspan can make up for mistakes at times, but his frame is the next step necessary for his overall athleticism and fatigue at the next level. His shot does have a low release point and takes a while to pull off, which is why his off-ball movement was a savior for him. With his slender frame, he tends to shy away from contact around the rim, forcing difficult shots and not getting to the free throw line. Although he is light on his feet, his lack of size can be exploited on the defensive end. He does have great instincts, but shouldn’t be viewed as a top-notch defender, as players are able to score on him. He will definitely have to work on his toughness this offseason, whether on the defensive end or at the rim.